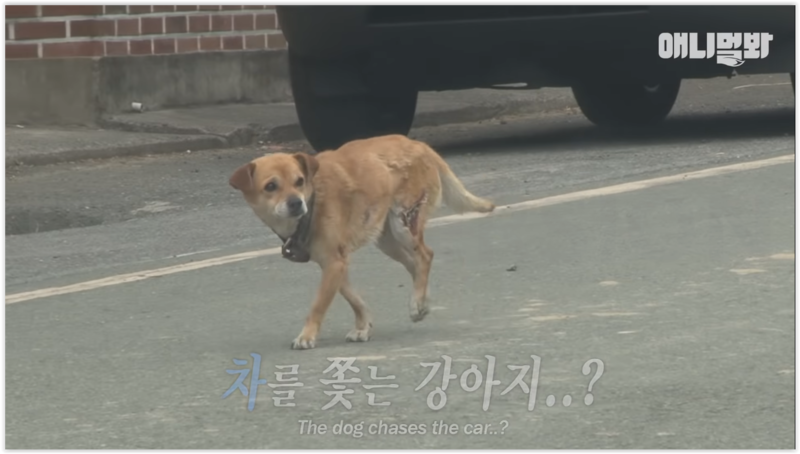 You may have heard the saying ‘dog is man’s best friend’ over and over again, but guess what: it is true; especially for Ddol, a stray dog in Korea that caught the attention of the team behind SBS TV channel. Ddol and its owner’s life are rebuilt with the help of the SBS team and the community. According to nearby residents, Ddol belonged to a man who used to pick up scraps to recycle from around the area and the dog used to follow him everywhere. Disaster struck when the owner’s grandma passed away and the house that they lived in had burned down from an accidental fire. 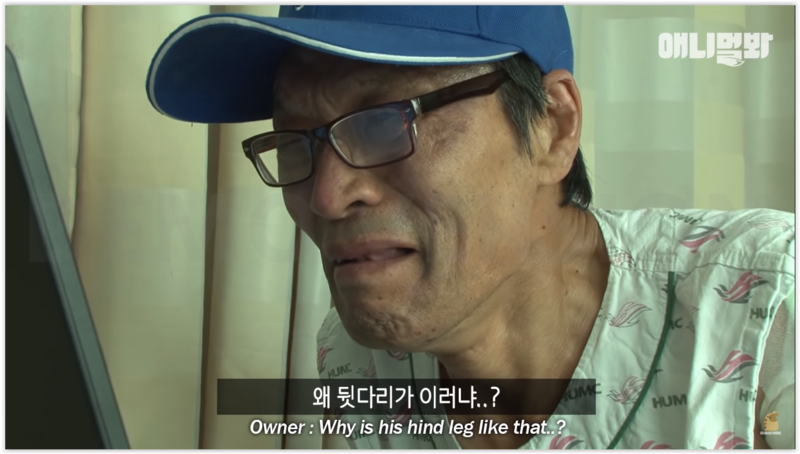 His owner suffered from serious burns and was admitted to a hospital in Seoul for treatment. Ddol was left all alone but never left the compound where the house was burned down. The dog sustained injuries on its hind legs and suffered burns on its body too. It would bark and run after every car that passed by hoping it was his owner. 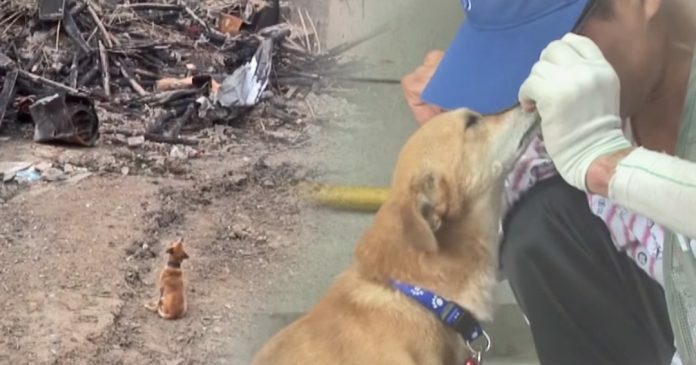 Ddol would also sleep in the same spot every night, and turned out that it had been sleeping beside his owner’s charred pants under the burnt wreckage. The SBS team, moved by the dog’s loyalty, went to the police station to track down Ddol’s owner. 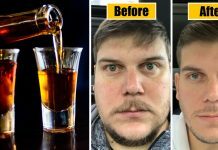 When they found him at the hospital, his body was covered in bandages. They showed him a footage of Ddol and he immediately burst into tears. He was sad to see how Ddol had been living since the day he left. Unable to bring the injured dog to a vet using the usual methods, the team cleverly set up a trap to lure Ddol without harming it. Ddol fell for the trap. 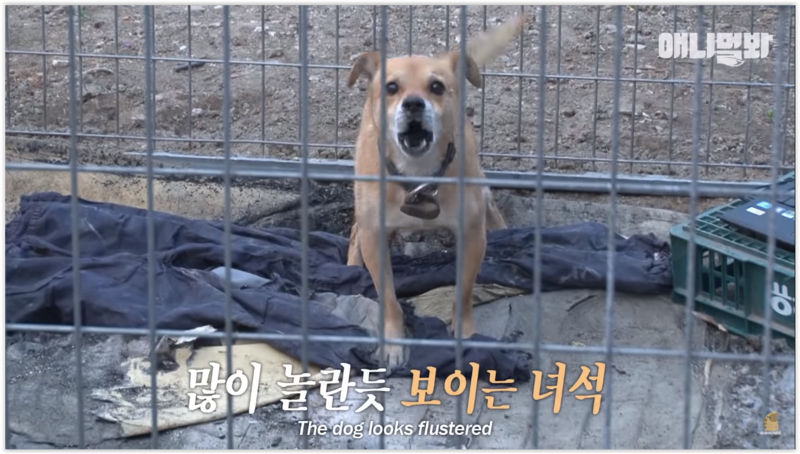 Its injuries were treated but the faithful dog would not eat until seeing its owner’s belongings in the cage and hear the voice recording of its owner. The hospital where Ddol’s owner had been living in generously allowed a temporary home for Ddol to be set up behind the hospital, so they could be with each other. A tearful reunion between the dog and its owner took place, both of them cried tears of happiness. By posting their story online, the SBS team managed to raise enough funds to build another house for Ddol and his owner in the same area. The best part is that Ddol even has a small house built for him in the backyard! This is exactly what a community should do. They should look out for and help each other. 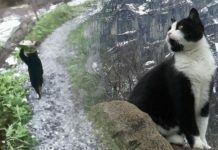 Without it, Ddol would not have reunited with its owner and they would never be able to begin a new life together.